Five days from now, on August 4, 2013 at 5:00 am local time, an unmanned HII-B rocket containing Libelium Sensing Technology will lift off from the Tanegashima Space Center (TNSC) in Japan en route for the International Space Station (ISS). Included in the main payload of the two ArduSat satellites soon to be lobbed into orbit are Libelium/Cooking Hacks Radiation Sensor Boards. The Radiation Sensor Boards will monitor the radioactivity levels generated by space phenomena such as sun storms and background activity. This sensing technology acts as a Geiger Counter, measuring gamma particles produced anywhere in space. 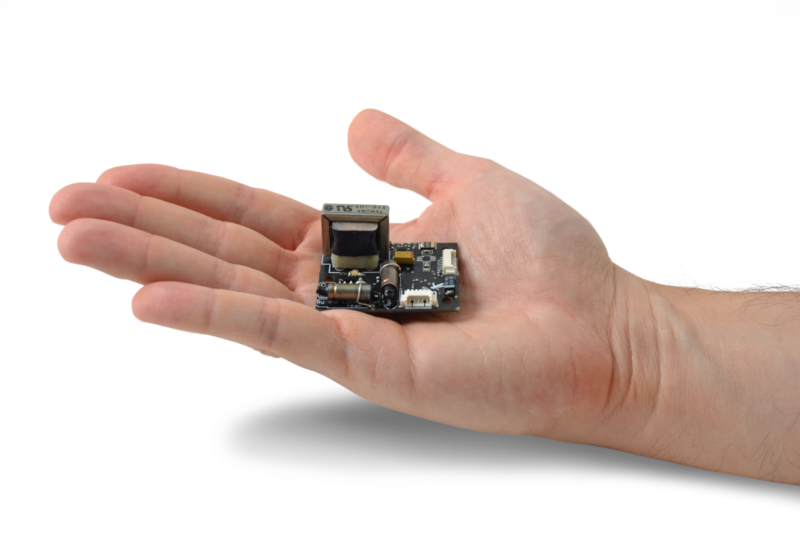 The image below shows the scale of one of the prototypes of Libelium’s tiny Radiation Sensor Boards, with a size of 4 x 3cm and an overall weight of 40gr. “Our Radiation Sensors were developed originally to measure radioactivity levels on Earth. We adapted them to meet the satellite’s restrictions in terms of weight, size and power control, in a nice collaboration between Libelium and ArduSat engineering teams,” said David Gascón, co-founder and CTO of Libelium/Cooking Hacks. 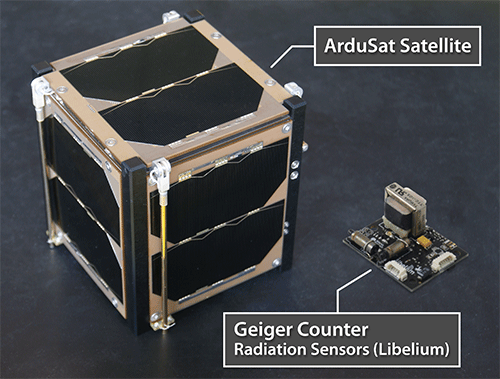 The Geiger Counter designed by Libelium is integrated in the 10x10cm ArduSat satellites and will be orbiting at an altitude of 300km. The satellites will be controlled from Earth using radio transmission protocols. In addition to measuring radiation levels, the ArduSat satellites will be used to perform experiments that include the creation of a 3D model of Earth’s magnetic field, measurement of temperature changes in space, and the study of the Earth’s Albedo using an spectrometer. 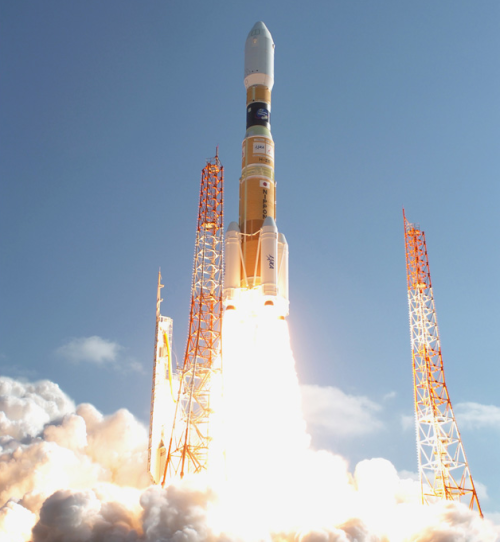 The launch mission is led by the Japanese space agency (JAXA) and consists of a HII-B rocket carrying the unmanned H-II Transfer Vehicle and the HTV4 – a cargo transporter — to the International Space Station (ISS). The HTV4, stocked with the ArduSat satellites and up to six tons of supplies, will rendezvous and dock with the ISS in orbit, approximately one week after lift-off.